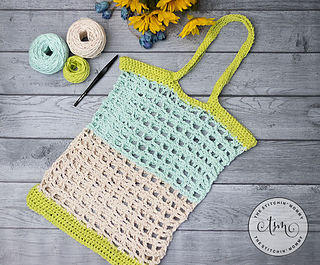 This light and airy Simple Mesh Market Tote is great for the farmer’s market or the beach! It is made with a sturdy cotton yarn and makes for a great stashbuster project. 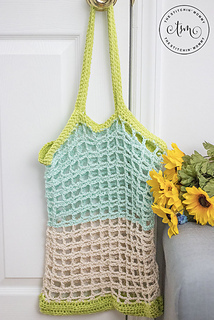 This pattern was designed for the 2019 International Crochet Month Designer Showcase hosted by Underground Crafter and CGOA.